The proliferation of rumors and disinformation on social media led to communal violence in February and March 2018 (see Media, Diversity, and Content Manipulation). The government ordered a nationwide block of Facebook, WhatsApp, Viber, and Instagram for just over a week in March 2018 (see Blocking and Filtering and Restrictions on Connectivity). The Telecommunications Regulatory Commission reported that it was ordered to instruct mobile operators to restrict 3G and 4G connectivity to the Kandy district in the wake of violence (see Restrictions on Connectivity). A few arrests were reported for inciting hatred and spreading hateful messages on social media (see Prosecutions and Detentions for Online Activities). The e-NIC Project, a new electronic national identity card, was introduced, raising privacy concerns about a central database storing wide-ranging information and biometric data (see Surveillance, Privacy, and Anonymity). Internet freedom declined dramatically in Sri Lanka following major restrictions to connectivity and social media platforms during communal violence in March 2018. An atmosphere of political instability prevailed following the local government elections in February. The newly formed Sri Lanka Podujana Peramuna, which includes former President Mahinda Rajapakse among its membership, received 44.65 percent of the vote,1 indicative of growing factionalism within the ruling coalition2 and the electorate’s dissatisfaction with the government’s performance since it was elected in 2015. Building off of existing tensions between the country’s majority Sinhalese Buddhist citizens and Muslim minority, disinformation and rumors on social media played a pivotal role in engendering violence in Ampara on the east coast in February 2018 and in Digana in Kandy in March 2018.3 After anti-Muslim violence in Ampara and the death of a Sinhalese man by Muslim men in Kandy, a wave of riots led predominantly by members of the Sinhalese ethnic group resulted in numerous restrictions to internet freedom. The government declared a state of emergency for the first time since 2011, which lasted for nearly two weeks. Facebook, WhatsApp, Viber, and Instagram were all temporarily blocked nationwide from March 7-15,4 and the Telecommunications Regulatory Commission (TRC) reported that it was instructed to slow internet speeds in Kandy on March 7, promising that it would be restored within the day.5 Almost 300 individuals were arrested in the wake of the riots. Three of them were schoolchildren, arrested in relation to social media content they had posted. Internet penetration in Sri Lanka has continued to increase in recent years, but there remains a digital divide between urban and rural areas. Regulatory reform is needed to ensure independence and transparency, as Sri Lanka’s Telecommunications Regulatory Commission continues to operate under the authority of President Sirisena. In March 2018, the government ordered the TRC to restrict ICT connectivity in the Kandy district and instituted a nationwide block of social media platforms in an effort to prevent the spread of misinformation and stop communal violence. Internet connectivity remains affordable for individual subscribers. However, the government introduced a new tax on cellular towers in the 2018 budget on telecommunications operators.7 The LKR 200,000 levy is meant to reduce the proliferation of new towers, and operators warned this might cause towers to close in unprofitable areas, reducing internet coverage.8 A tax was also imposed on bulk SMS advertisements, with the levy paid by the advertiser. Despite these additional taxes, there was a steady rise in mobile broadband subscriptions during the coverage period.9 Mobile penetration reached 135 percent in 2017.10 However, fixed broadband penetration was relatively low due to the dominance of the mobile platform. Compared to urban areas, rural and Up-Country Tamil communities have a significantly lower digital literacy rate, primarily due to the high cost of personal computers.18 In urban areas, digital literacy increased to 55 percent. There were also increases in literacy in rural areas and Up-Country Tamil communities, though those rates remained comparatively low at 37 percent and 16 percent, respectively. There was one reported infrastructure-related disruption during the reporting period. In September 2017, Dialog’s service and network coverage were disrupted for less than an hour, affecting voice, data, and SMS on mobile phones, due to a power systems failure at one of the key network nodes.30 Users described minor inconveniences such as missed calls and being unable to book transportation. In March 2018, the government implemented a nationwide block of social media platforms and ordered the TRC to restrict connectivity in the Kandy district in an effort to prevent the spread of misinformation and stop communal violence. The TRC was established under the Sri Lanka Telecommunications (Amendment) Act, No. 27 of 1996. As the national regulatory agency for telecommunications, the TRC’s mandate is to ensure the provision of effective telecommunications, protect the interests of the public, and maintain effective competition between commercial telecommunications enterprises. The TRC’s lack of transparency with regard to license conditions, bad regulatory practices, and instances of preferential treatment have been noted in the past.50 Analysts have said that spectrum allocation and refarming, or the more efficient reallocation of spectrum, have been administered in an ad hoc manner, but over the years, procedural transparency has improved.51 However, regulatory reform continues to be a pressing issue, particularly in terms of strengthening the body’s independence. The government dramatically increased censorship online during the coverage period by instituting a nationwide block of Facebook, WhatsApp, Instagram, and Viber for just over a week. The block was precipitated by the proliferation of misinformation and rumors online that engendered communal violence in March 2018. Despite these negative developments, content online remains diverse with a number of online journalism and citizen media sites freely publishing on political and socioeconomic issues. During the reporting period, there was a nationwide block of Facebook, WhatsApp, Instagram, and Viber from March 7-15, 2018, due to violence in Kandy for just over a week. A few webpages were also found to be blocked in November 2017, prompting a right to information (RTI) request into the website blocking process. Several ministers blamed social media platforms for failing to curb the spread of hate speech as justification for the block, including Deputy Minister for National Politics and Economic Affairs Harsha De Silva,62 and Telecommunications and Digital Infrastructure Minister Harin Fernando.63 The president64 and prime minister65 also both argued that the spread of hate speech and fake news during the violence necessitated the block. In addition to the blocking that occurred in March 2018, at least four websites were blocked68 during the coverage period, including two pornographic websites, a gossip site called gossipplanets.com, and the website Lankaenews.69 When civil society organizations learned that Lankaenews was blocked, three organizations filed an RTI request about its blocking and the blocking process.70 The TRC denied part of the request on national security grounds, and the case was appealed and heard before the RTI Commission in the spring of 2018.71 In the TRC’s response, it was revealed that 13 websites had been blocked between 2015 and 2017, including some sites publishing political news or pornographic material. The response also revealed the blocking process for each website, noting that the presidential secretariat was involved in the blocking of at least four of the sites. As of July 2018, Lankaenews was inaccessible via SLT connection but available via Dialog mobile connection. Diverse content is generally available online, and self-censorship is gradually lessening in the country. However, misinformation proliferating across social media was a disturbing development during the reporting period. Rumors that Muslims were attempting to forcibly sterilize the Sinhalese have persisted from as early as 2012. Recently, for example, a rumor spread across Facebook that 23,000 sterilization pills were seized from a Muslim pharmacist in a small Sri Lankan village.81 These rumors sparked violence in Ampara when a group of Buddhists found a lump of flour in their food that they believed to be a sterilization pill while eating at a Muslim-owned shop. The group accused the shop owner of planting pills in the food. The shop owner, who spoke Tamil and could not understand what the Buddhist men were asking, nodded in agreement to the group’s questions. The group filmed the altercation, including when the shop owner accidentally agreed that he spiked the food. Shortly after the riots, Twitter accounts of journalists, activists, diplomats, and lawyers experienced a sudden spike in followers.89 An April 2018 report titled “Weaponising 280 characters” 90 describes the accounts as having Sinhala, Muslim, and Tamil sounding names with many using the default Twitter profile picture or an image from another public profile. The accounts were mostly empty profiles with no tweets and it was not immediately apparent what they might be used for. Self-censorship by journalists appears to be diminishing in response to the government’s stated commitment to media freedom. Under President Sirisena, some traditional and new media outlets have become vocal critics of both sides of the political divide, indicating increased freedom. The government has maintained onerous news website registration requirements introduced by the previous administration. During Rajapaksa’s presidency, the media ministry directed all “news” websites to register for a fee of LKR 25,000 (US$190) with an annual renewal fee of LKR 10,000 (US$75). The requirement threatens the economic viability of start-up platforms,99 and undermines privacy and anonymity (see Surveillance, Privacy and Anonymity). The web has provided an avenue for robust digital activism and engagement on political issues in Sri Lanka, although most campaigns progress in fits and starts. Many are hitched to specific short-lived events, crises, or stalled political processes, and campaigners are generally unable to gather the momentum needed to drive meaningful change and long-term participation. However, a number of social media campaigns occurred during the reporting period. The enactment of a new electronic national identity card raised privacy and surveillance concerns. While arrests and prosecutions for users’ online activity have remained relatively infrequent under President Sirisena, there were a few new arrests during the coverage period. Although internet access is not guaranteed as a fundamental right in Sri Lanka’s legislation, Article 14 (1)(a) of the constitution protects freedom of expression, subject to restrictions related to the protection of national security, public order, racial and religious harmony, and morality. There are no specific constitutional provisions recognizing internet access as a fundamental right or guaranteeing freedom of expression online. A culture of impunity, circumvention of the judicial process through arbitrary action, and a lack of adequate protection for individuals and their privacy compounded the poor enforcement of freedom of expression guarantees under former President Rajapaksa’s government. Several detentions for legitimate online activity were documented during Rajapaksa’s presidency.132 Under the new government, there has been a very limited number of arrests and prosecutions for online activity reported. During the coverage period, a few arrests were reported for inciting hatred online. In wake of the violence in Digana, the TRC reported that the Ministry of Defense was monitoring social media for content that incited violence.133 Around 10 people were arrested for spreading provocative and hateful messages on social media.134 Also in March, a few students were arrested for instigating hate and “disharmony” on social media.135 Reports did not clarify the content of their social media posts. The National Action Plan for the Protection and Promotion of Human Rights 2017-2021 outlined the goal of recognizing the right to privacy with the objective of ensuring constitutional recognition of this right. 137 During the reporting period, however, advocates raised privacy and surveillance concerns about some new initiatives. Most notably, concerns were raised over the introduction of a new electronic national identity card, the e-NIC Project. The project includes a central database storing wide-ranging information and biometrics with “family tree” data.138 Activists warn that this could be used to target political opponents and could be hacked and abused.139 However, there was hardly any opposition to the project when it was first introduced, presumably because the government justified the project’s necessity as an improvement to the state’s service delivery. There are some limits to anonymous digital communication. Real-name registration is required for mobile phone users under a 2008 Ministry of Defense program to curb “negative incidents.” It was bolstered in 2010 after service providers failed to ensure that subscribers registered.142 Access to public Wi-Fi hotpots requires a citizen’s national identity card number,143 which could be used to track online activity. Intimidation and violence are still reported in Sri Lanka under the new government. A February 2018 report from the Sri Lanka Campaign for Peace and Justice interviewed 27 individuals in the north who detailed excessive and ongoing surveillance, harassment, and intimidation by an array of state security agencies, including over phone and via SMS.152 The report notes that among those targeted were human rights activists, survivors of Sri Lanka’s civil war, and ordinary citizens. Cyberattacks occasionally targeted government critics, such as Tamilnet, under former President Rajapaksa.159 No similar incidents have been reported under President Sirisena. 12Nenasala, “Establishment of Nenasalas,” accessed July 2013, http://bit.ly/1W4XODp. 13 “ICTA Responds to Business Times report on e-government project,” The Sunday Times, January 6, 2013, http://bit.ly/1bmHPwO. 18 The historically marginalized Up-country or Malaiyaha Tamil communities trace their roots to Tamil Nadu and are concentrated in the Central, Uva, Sabaragamuwa and Southern Provinces. The Citizenship Acts of 1948-9 made the communities stateless and denied their civil and political rights. See “Sri Lanka - Tamils”, Minority Rights Group International, http://minorityrights.org/minorities/tamils/; Final Report of the Consultation Task Force on Reconciliation Mechanisms, Inclusion of the Malaiyaha Makkal, 346-350, November 2016, https://drive.google.com/open?id=0Bxbk4wYolphwRTZETF9fM1JBUEk. 24 Rohan Samarajiva, “Morning after: Thinking through Sri Lanka President’s free Wi-Fi promise,” LirneAsia, February 28, 2015, http://bit.ly/1iRO7Kr; YudhanjayaWijeratne, “Why Yahapalanaya’s Train Wi-Fi might not be as cool as you think,” Readme, February 28, 2015, http://readme.lk/free-wifi-train-stations/. 27 “Wi-Fi Hotspots in Sri Lanka”, Dialog, https://www.dialog.lk/wi-fi; “Dialog’s Giving Everyone Free Wi-Fi. For 30 Days,” Readme, September 22, 2014, http://readme.lk/dialogs-giving-free-wi-fi-30-days/. 35 “SLT introduces SEA-ME-WE 5 submarine cable system and first tier 4 ready data station”, The Island, February 1, 2016, http://www.island.lk/index.php?page_cat=article-details&page=article-details&code_title=139608; Mazin Hussain, “Sri Lanka has a new pathway to the Internet”, README, February 3, 2016, http://www.readme.lk/sri-lanka-pathway-internet/. 37 HelaniGalpaya, Broadband in Sri Lanka: Glass Half Full or Half Empty? (Washington, D.C.: infuse/The World Bank, 2011), http://bit.ly/1izou0Y. 45 Subsidiaries, SLT.lk, https://www.slt.lk/en/about-us/profile/subsidaries, accessed in May 2016; “Mobitel finalizes terms of Hutch takeover, report says,” TeleGeography, February 11, 2014, http://bit.ly/1izpDpo. 47 The customer base figures for Etisalat, and Hutchison received from sources in each company (according to customer churn rates for the first quarter of 2017). 53 “Colombo Telegraph blockade: TRC clueless,” Daily FT, August 27, 2013, http://www.ft.lk/2013/08/27/colombo-telegraph-blockade-trc-clueless/; Sarath Kumara, “Sri Lankan government prepares new Internet restrictions,” World Socialist Web Site, February 15, 2010, http://bit.ly/1QkpyA3. 55 Telecommunications and Regulatory Commission of Sri Lanka, “Chairman and the Director-General Assume Duties,” http://bit.ly/1Qkqq7P. 72 ‘Dialog CEO Hans Wijesuriya: “No surveillance program in Sri Lanka, but telecoms have to comply”,’ The Republic Square, September 28, 2013, http://bit.ly/1QkqZOZ. 92 World Organization Against Torture, “Sri Lanka: Smear campaign against Ms. Sunila Abeysekara, Ms. Nimalka Fernando, Dr.Paikiasothy Saravanamuttu and Mr. Sunanda Deshapriya,” March 27, 2012, http://bit.ly/1LAs55A; Committee to Protect Journalists, “In Sri Lanka, censorship and a smear campaign,” July 14, 2009, http://cpj.org/2009/07/in-sri-lanka-censorship-and-a-smear-campaign.php. 93 Shilpa Samaratunge and Sanjana Hattotuwa, “Liking Violence: A study of hate speech on Facebook in Sri Lanka,” Centre for Policy Alternatives, September 2014, 67-202, http://www.cpalanka.org/liking-violence-a-study-of-hate-speech-on-facebook-in-sri-lanka/. 94 “#UPRLKA: Complete Tweet Archive and Related Visualisation Around Sri Lanka’s UPR Review,” Groundviews, November 2, 2012, http://bit.ly/1gupD89. 95 “Announcing the launch of Maatram: Citizen journalism in Tamil,” Groundviews, January 20, 2014, http://bit.ly/1W52ngY. 99 “Rs.100,000 to be Charged from News Websites,” Daily Mirror, July 12, 2012, http://bit.ly/1KoO9zk. 108 Respective legislation: Official Secrets Act No. 32 of 1955; Parliament (Powers and Privileges) (Amendment) 1997; Prevention of Terrorism (Temporary Provisions) Act No. 48 of 1979. 132 See Sri Lanka Report: Freedom on the Net 2016 for previous cases of detention for online activities. 142 Bandula Sirimanna, “Sri Lanka to tighten mobile phone regulations,” The Sunday Times, October 31, 2010, http://bit.ly/1UYM0FC. 145 Centre for Policy Alternatives, “Arbitrary Blocking and Registration of Websites: The Continuing Violation of Freedom of Expression on the Internet,” press release, November 9, 2011, http://bit.ly/1guxKkU. 146 ‘Dialog CEO Hans Wijesuriya: “No surveillance program in Sri Lanka, but telecoms have to comply”. 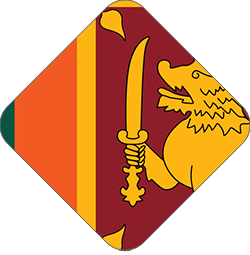 163 Data and Information Unit of the Presidential Secretariat of Sri Lanka, “CSIRT system launched in Sri Lanka to prevent cyber attacks on banks,” July 2, 2014, http://www.priu.gov.lk/news_update/Current_Affairs/ca201407/20140702csirt_system_launched_sl_prevent_cyber_attacks_banks.htm.